There are always new health studies revealing what is good or bad for our bodies. Recent reports on alcohol show that drinking wine can have positive health effects. According to new evidence, a compound found in red wine may be even more beneficial to patients being treated for mesothelioma with chemotherapy. For patients of mesothelioma, any improvement in treatment can be a sign of hope when facing the fatal disease. Mesothelioma is one of the deadliest cancers and is most often associated with asbestos exposure. Individuals who have worked with household chemicals, industrial materials, or who have been exposed to asbestos in their home, residence or workplace are susceptible to mesothelioma. The cancer may be dormant for years and victims can be diagnosed months, years, or decades after exposure. Our Boston mesothelioma attorneys are dedicated to protecting victims’ rights and in staying abreast of all developments in the treatment of mesothelioma. In a 2012 study, a team of Korean researchers published a study on the mesothelioma-fighting power of resveratrol, a natural phenol derived from the skin of red grapes which can be found in wine. In this study, the researchers treated mesothelioma infected rice with the wine compound for 4 weeks. Treated mice experienced suppressed tumor growth and an increase in mesothelioma cell death. Now, the same research team has published a new study in the November 2013 issue of “Food and Chemical Toxology,” demonstrating that the resveratrol also enhances the sensitivity of malignant mesothelioma cells to chemotherapy. Authors of the study discovered that there is a synergistic relation between the meso cells treated with both resveratrol and clofarabine. Clofarabine is a prescription drug commonly used to treat acute leukemia. Using the drug and the compound together created a powerful effect, triggering a higher rate of cell death. Summarizing the results in the study, the team indicated that the synergistic relationship between the drug and the wine compound resveratrol could be used to enhance the effectiveness of chemotherapy on mesothelioma patients. 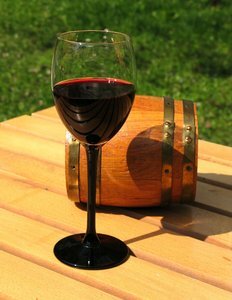 The researchers do not necessarily recommend that patients go out and start drinking red wine to combat mesothelioma cell growth; however the results of the test indicate that the use of the compound could be used in developing future treatments. Mesothelioma afflicts individuals in industrialized nations around the world. Every year, there are 2,500 Americans diagnosed with mesothelioma. In Korea, where the study took place, researchers and experts in the medical field project that mesothelioma cases will spike in 2045. For mesothelioma patients in Boston, the results could indicate future treatment opportunities. Resveratrol has also been linked to positive health benefits in other studies. According to research, resveratrol is an antioxidant that can prevent genetic mutations caused by oxidative stress. As genetic mutations continue to contribute to cancer growth, prevention the mutations can reduce the growth and production of cancer cells. Resveratrol has also been shown to benefit the nervous system and the cardiovascular system. If you are a patient considering incorporation of red wine for its cancer fighting properties, be sure to consult with your doctor. Always remember to practice moderation–one glass fulfills the entire daily allowance for women and two glasses fulfills the daily allowance for men. Lawsuit Against Tobacco Companies Based on Asbestos Filters Result in Tobacco Companies Paying, Mesothelioma Lawyers Blog, November 4, 2013. Lee, YJ, “Resveratrol contributes to chemosensitivity of malignant mesothelioma cells with activation of p53”, November 13, 2012, Food and Chemical Toxicology.